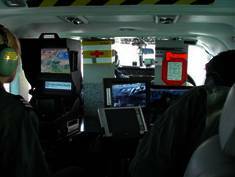 Since 2005 we are able to fly FLIR / AGSR Missions with FLIR systems. 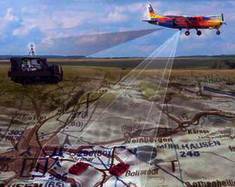 We are able to transmit FLIR dates real-time via VHF or Satcom to stations on the ground. but this isn't needed in 98 % of FLIR missions! We start to use alternatively the Dornier 228 for AGSR Operations beside the use of the Cessna C208 Caravan.